Dr. Padma Gandi completed her Bachelor of Dental Surgery from A B Shetty Memorial Institute of Dental Sciences under Mangalore University in 1989 and her Master’s Degree in the Speciality of Endodontics & Conservative Dentistry from Bapuji Dental College & Hospital, Davangere, Kuvempu Univesity in the year 1992 from India. 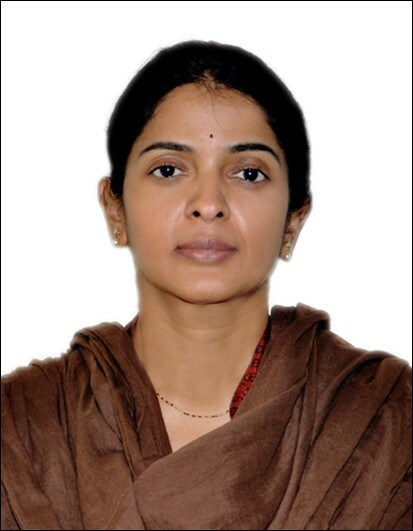 Dr. Padma Gandi is a Fellow of the Academy of general Education (FAGE) from Manipal, India. Dr. Padma Gandi’s experience spans more than 22 years in clinical practice and 14 years in under graduate & post graduate teaching at Dental colleges in India. She has six Pub Med Indexed Publications apart from Non Pub Med Indexed Refereed Journals. Dr. Padma Gandi has joined RAK Hospital in August, 2015 as Specialist Endodontist and has previous experience of working in United Arab Emirates between 1998 to 2002 in the Emirates of Dubai and Sharjah. Dr. Padma Gandi specializes in Root Canal Treatment particularly Rotary and Single Visit Endodontics, Procedures under Operating Endodontic Microscope & Magnifying Loupes, Aesthetic & Restorative procedures including Veneers, Laminates, Crowns, Bleaching apart from routine dental procedures.